I started my career at SEB as a Trainee in our well known International Trainee Program after graduating in autumn 2013. I was really interested in banking and my previous summer internships in other banks boosted my desire to pursue a career in a global, yet Nordic bank. I did not know much about SEB before I started, but I had gained a positive image about SEB and its Trainee Program. 20 recent graduates from four countries, although more than half from Sweden, were accepted to the Trainee Program. During the trainee year we visited SEB’s home markets and got to know all of SEB’s business areas from Retail Banking to Investment Banking and everything in between. We spent many weeks in the Head Office in Stockholm during which we had good exposure to Division Heads and met colleagues from different locations. In addition, we spent five weeks with professional leadership consultants to work on our presentation skills, managerial skills, and feedback techniques and we had a great time together. Before I started on the Program, I was told by a previous Trainee that we will not only be colleagues but friends, which I did not believe could be true. However, she was right and even after two and a half years since I completed the Program I am still in contact with many of them. Now looking back, one of the best experiences during the Trainee year was a one month secondment abroad which I decided to pursue in the Head Office in Stockholm. Spending time in Stockholm was a great experience while others pursued secondments in London, New York and Shanghai. 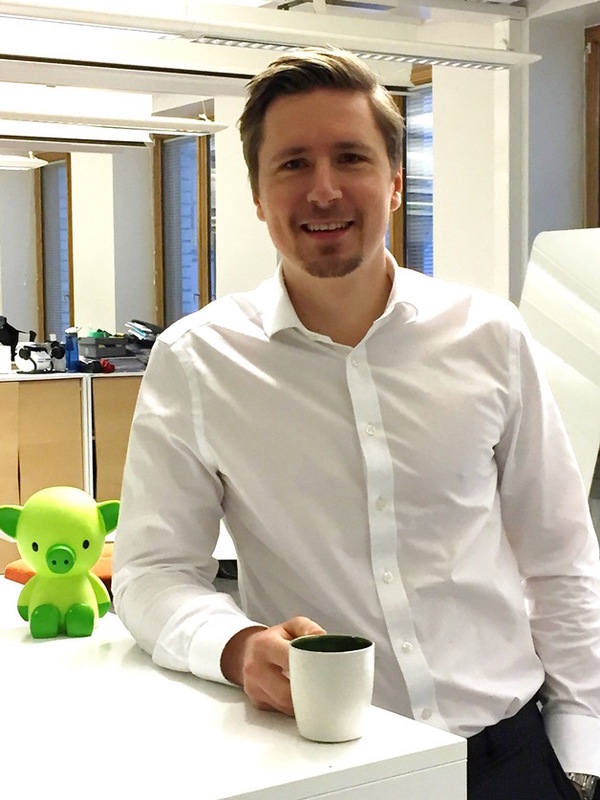 I did my secondment in a team we do not have in Helsinki but we are working with them frequently so I believe that having met them in person and seeing their way of working have greatly improved our collaboration. After my secondment, I realised that SEB provided many opportunities in other locations and thought it may be a good experience to spend a longer period elsewhere in the future. One year after my Trainee year, I got a chance to move to London and join a small group of pioneers establishing a new division within our London office. I have always enjoyed London having completed my Masters there and my countless visits to my brother who lives there. So, I did not have to think twice when I got the opportunity to move back to London. I feel that starting something from scratch is both really exciting and good fun! SEB encourages its employees to be mobile, and it is important to let your manager know if you have a desire to develop professionally in a new working environment. I ended up spending an eventful and enlightening one and half years in London before deciding to move back to Helsinki just before Christmas. I believe SEB’s International Trainee Program is a great way to enter the world of banking and it will form a good base to your career regardless of where you will end up working in the future. It may open doors to develop yourself in new environments and to see the world from a different angle.